I recently posted color swatches for a couple of the BH Cosmetics palettes I purchased and promised to give a more detailed review…so here is the review on the Party Girl limited edition palette! 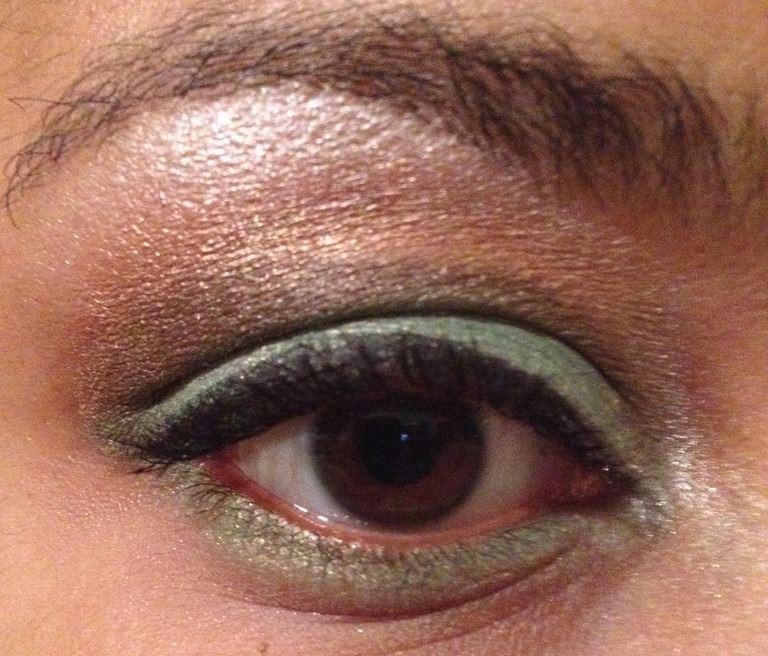 I’ll also add a few pictures of some looks I created using the palette at the end! 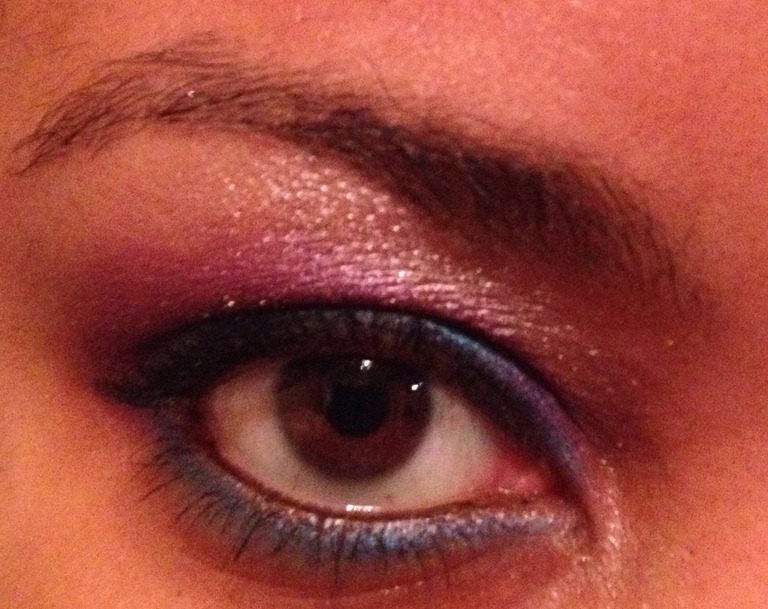 As I already mentioned in the Quick view post, the eye shadows in the Party Girl palette are highly pigmented. The colors provided range from neutral to vibrant with a mix of matte and shimmer choices so the looks you will be able to create with this are virtually limitless. 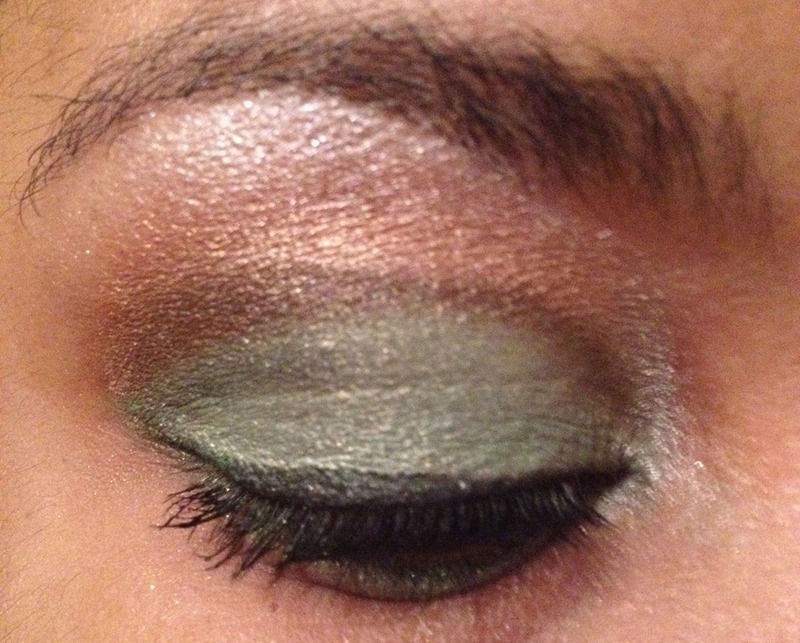 The quality of the shadows are on par (in my opinion) with one of my favorite eye shadow brands, Urban Decay. The texture is velvety smooth and blend with ease. The only negative I can think of is the lack of color names or numbers to identify each individual color. For anyone that wants to post look tutorials this makes it a little more difficult since you can’t refer to a color name, but you can improvise by stating what row and position the colors you use are in. 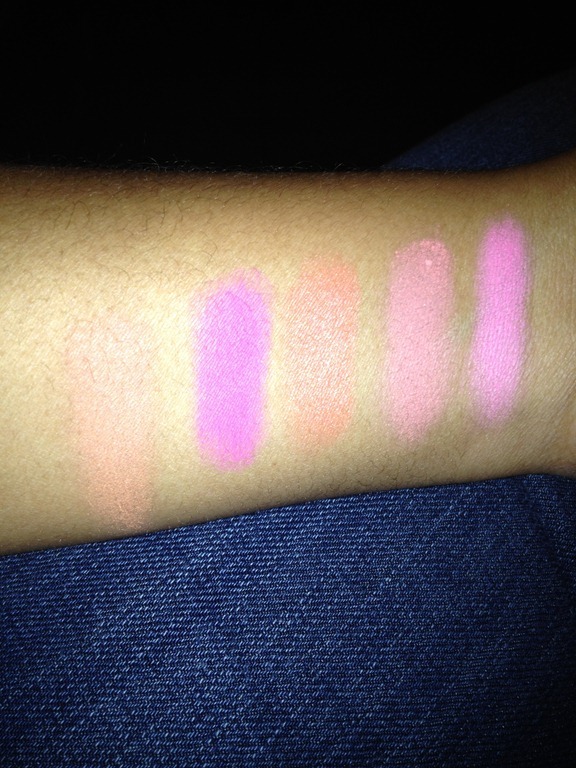 This is also a problem for anyone interested in finding a color dupe. The packaging is good, although it is not the greatest. It is a slim black plastic case that offers great space-saving versus other packaging options (such as eye shadow pots or chunkier eye shadow palette collections). 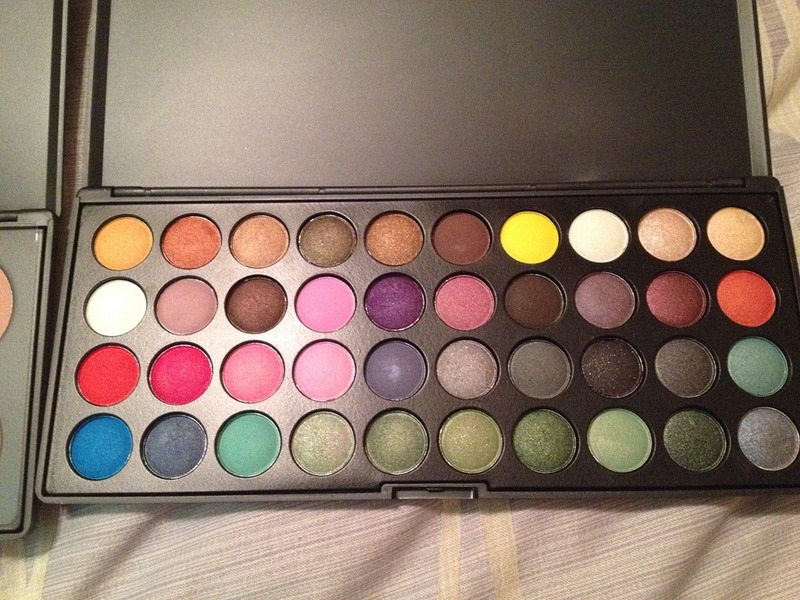 It is most comparable to the MAC palettes you can customize. Although the plastic is not as sturdy and thick in quality as MAC, it is solid enough that I wouldn’t worry about my shadows being ruined. My only complaint is that the way you have to open it could be better. At times, it feels like you have to pry it open. I would have preferred if it opened like the MAC palettes do (a push of a “button” releases the hold and allows you to open it), but this is just a complaint of ease and does not diminish the worth of the palette at all. Also, this palette does not offer a mirror inside (some of the BH palettes do), but this makes the palette thinner than the ones that do have a mirror. 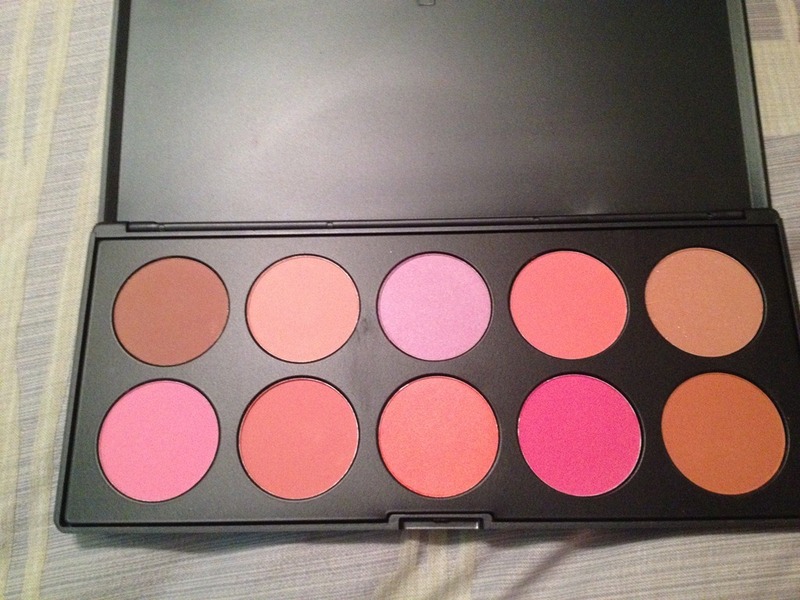 Overall, I would definitely recommend this palette for anyone that wants a range of fun colors with great quality for a more pocket friendly price. 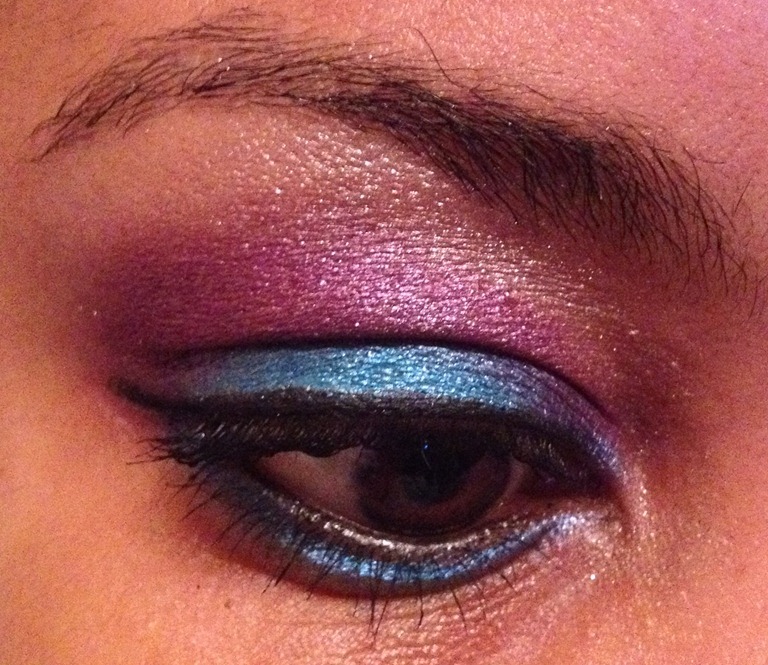 As promised, here are a few pics of the looks I created using this palette. Unfortunately, I only used my iPhone 4s to capture the images so forgive me if the pics aren’t the best! This look was created using the 1st blue shadow on the 4th row, the 5th shadow on the 2nd row (a deep purple), and the 9th shadow on the 1st row (a brownish gold shimmery color). It actually reminds me of a look I did when I first purchased the reformulated Urban Decay eye shadows…if you look at the main image for my blog that would be the look I am referring to. 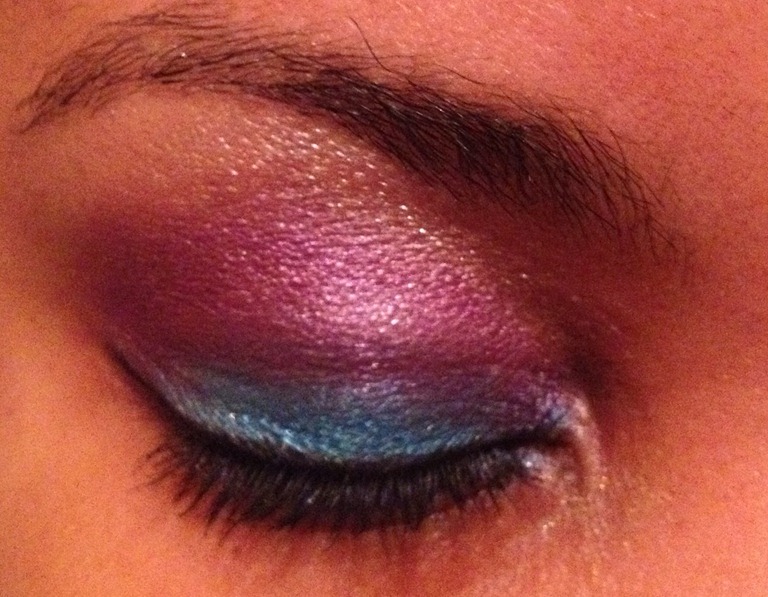 I also created a second look using this palette. The colors used were: 7th shadow on the 4th row (green), 3rd shadow on 2nd row (bronzy brown), 5th shadow on 1st row (golden bronze), and 10th shadow on 1st row (highlighter). Enter to win a BH Cosmetics Party Girl Eye Shadow Palette! Ends Soon!!! Want a chance to win your own Party Girl palette? Then you better hurry and enter! Go to the following link! Good Luck!!! 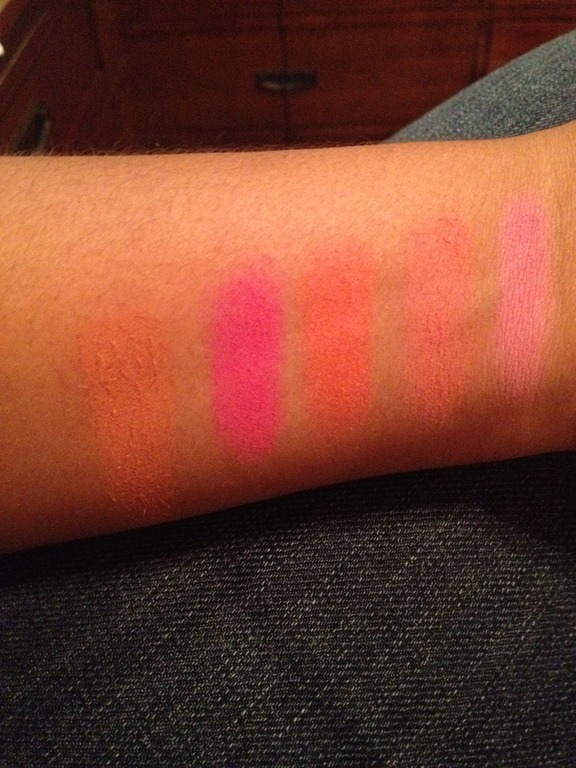 Here are a few pictures of the BH Cosmetics 10 color palette Professional Blush! I will do a more detailed review on this at a later date. For now I can say that overall this is a great palette for the price. There are always sales going on at BH Cosmetics so the price varies at any given time, but I got this palette for $14.49 (reg price $16.95) during the 4th of July sale. 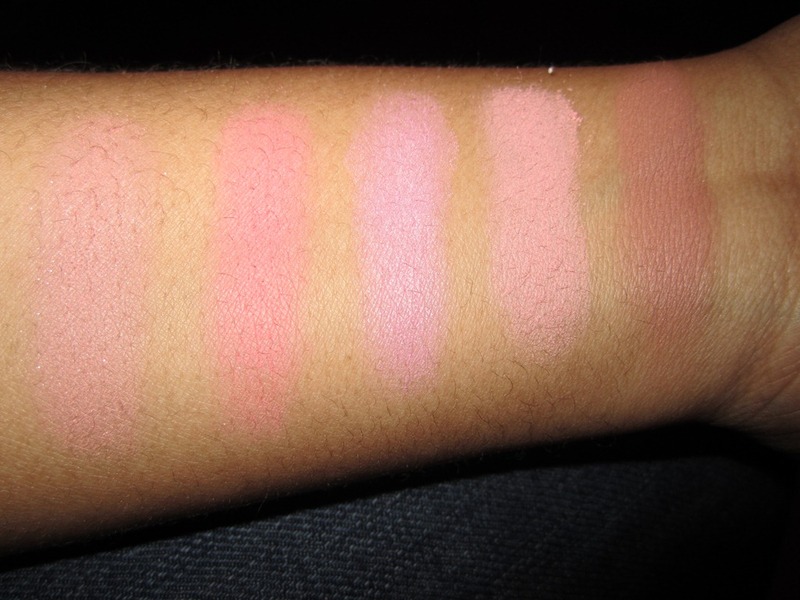 The colors offer great pigmentation although as you will see some of the colors are much more neutral on my skin that it may be on others. There were 3 shades that had a more powdery feel than the others but it does not seem to be something that will be a problem. I’ll know for sure after I do some real world use and testing. There is a mix of matte and slight shimmer choices available. The pan sizes are generous, especially for the price. 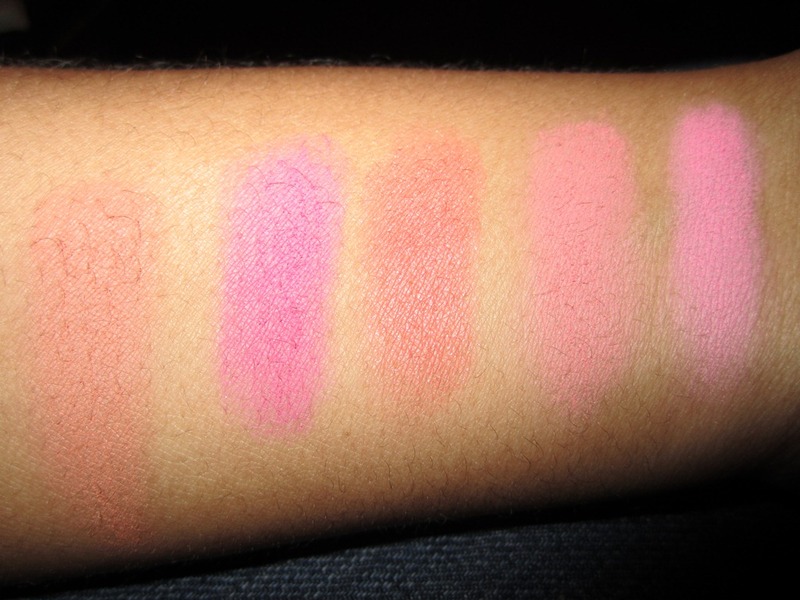 Just on initial swatch and looks I would recommend trying this product out, especially if you are just now entering the world of cosmetics or you want to have a lot of options without putting a serious dent in your wallet! 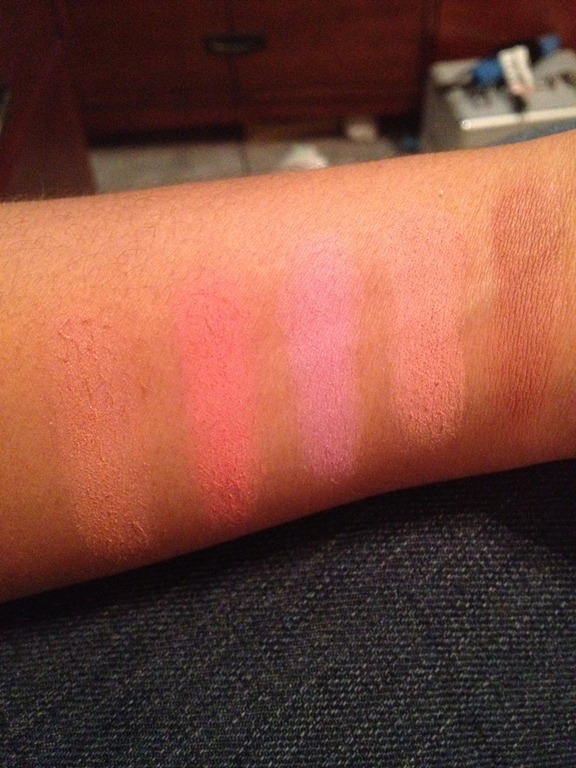 Swatches of colors from top row of palette with and without flash. 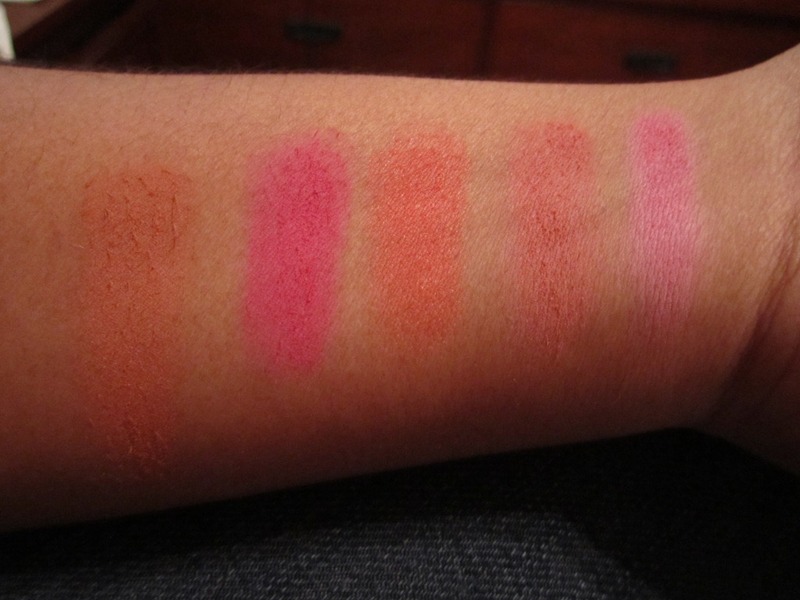 Please note that the swatches are shown in the opposite direction of how they are in the palette (the 1st color in the palette is the last color on my arm). 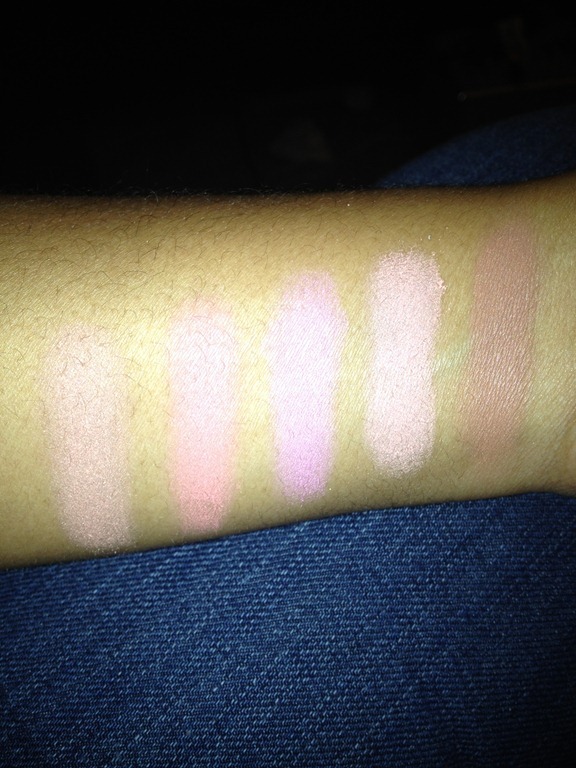 Swatch of colors from bottom row with and without the flash. 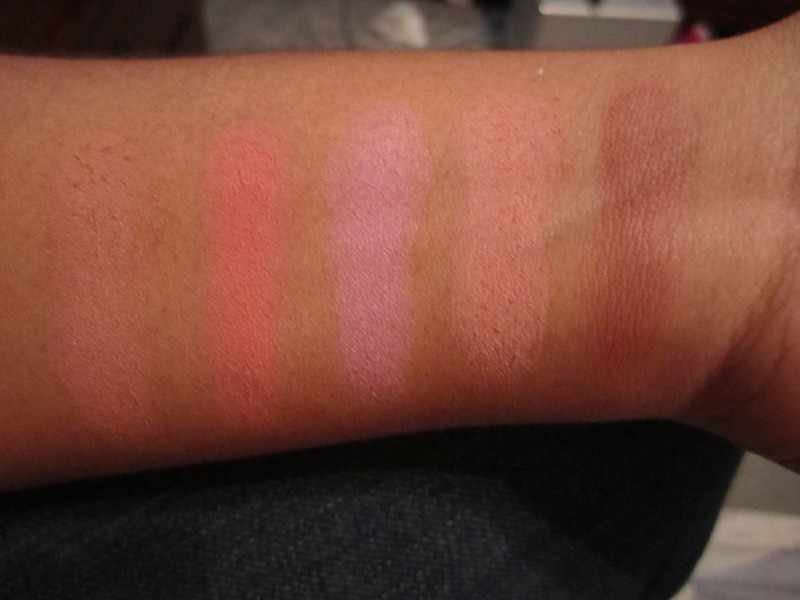 Please note that the swatches are shown in the opposite direction of how they are in the palette (the 1st color in the palette is the last color on my arm).